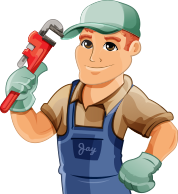 Are you in need of a plumber in Calgary? Give A Better Way Plumbing & Heating a call. We offer plumbing services in Calgary, Airdrie, Okotoks, Langdon, Priddis, Cochrane and more. Our professional and courteous plumbers will be happy to assist with everything from a toilet replacement to a complete kitchen or bathroom renovation. If you are having a plumbing emergency, please call us now at 403-667-5862. We offer 24 hour emergency plumbing service. All of us at A Better Way Plumbing & Heating pride ourselves on our exceptional customer service and up-front pricing. You won’t have any surprises with your plumbing bill. We aim to create ‘Customers For Life’, so you can rely on getting your plumbing work done right the first time. The best way to judge the quality of our service is from the ratings of some of our many satisfied customers. Research Calgary Plumbers on Homestars and you’ll see that we are one of the top companies in the city in terms of the number of reviews and our near perfect customer ratings of 9.9/10. We’re not the biggest plumbing company in Calgary, but our customers rate us as one of the best.